NAPLES, FL -- (MARKET WIRE) -- September 2, 2005 -- "Don't send money to Hurricane Katrina relief efforts without a plan," says Mike Kilbourn, author of "Disinherit the IRS," co-author of "Giving: Philanthropy for Everyone," and a 25-year veteran of the financial services industry who advises wealthy families on how to make charitable giving a part of their financial legacy. "Even during catastrophes, too many people give money to charities outright without first protecting themselves from unnecessary tax consequences," says Kilbourn, who explains that through proper planning you can get the IRS to maximize your charitable gift. "For example, if your intent is to give a dollar, you can really give $1.54 when you take the tax savings from making a gift into account. Add state tax, of say 5%, and you can give $1.67." But why stop there? Kilbourn says there are many legal ways and existing products that can allow you to give 20-40% more to relief efforts! For instance, by setting up a Donor Advised Fund and transferring appreciated stock to it, the fund can sell the stock and use the proceeds to make a gift(s). By doing this, a person can avoid the capital gains tax on the appreciated value of the donated stock. Add these tax savings to the savings made from making the charitable gift itself and the average person can save extra tax dollars that could be added to the gift! Kilbourn stresses the importance of planning properly in order to maximize contributions to Hurricane Katrina relief efforts. Then we can help more of the 1.2 million Americans that FEMA says are in desperate need. 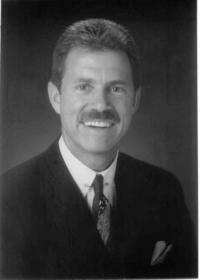 Mike Kilbourn is president of Kilbourn Associates in Naples, Florida. Mike has appeared on several national television news shows including "Bloomberg," "Your Money," and "Moneywise." Check out Mike in action at www.kilbournassociates.com. Request a media kit or schedule an interview by contacting Mollie Page at 239-455-6727.